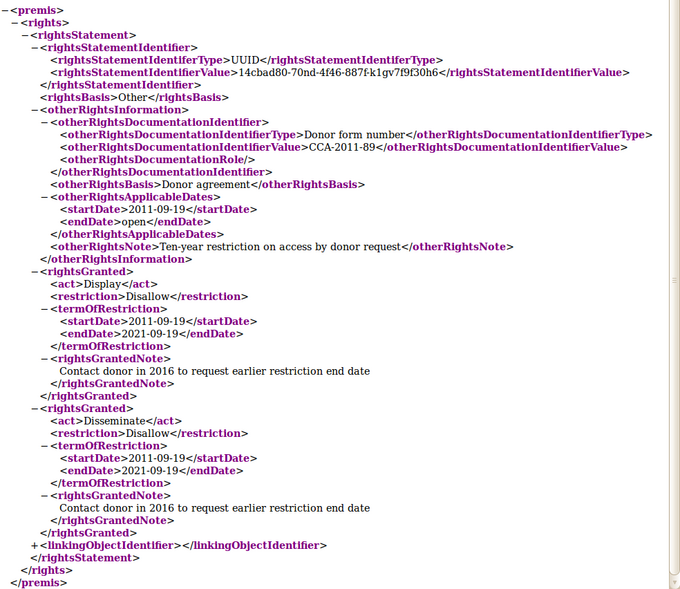 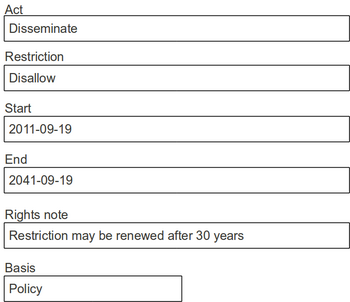 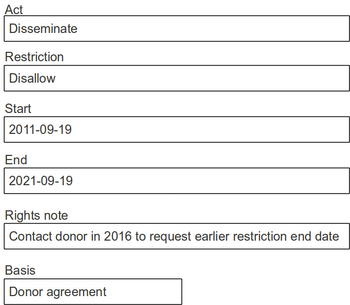 If Restriction is "Allow", rights granted start and end dates will be in a <termOfGrant> container. 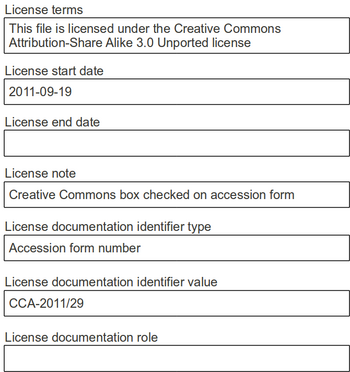 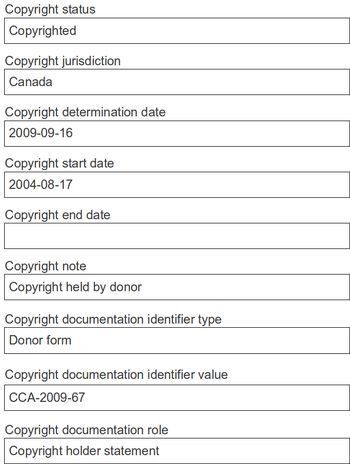 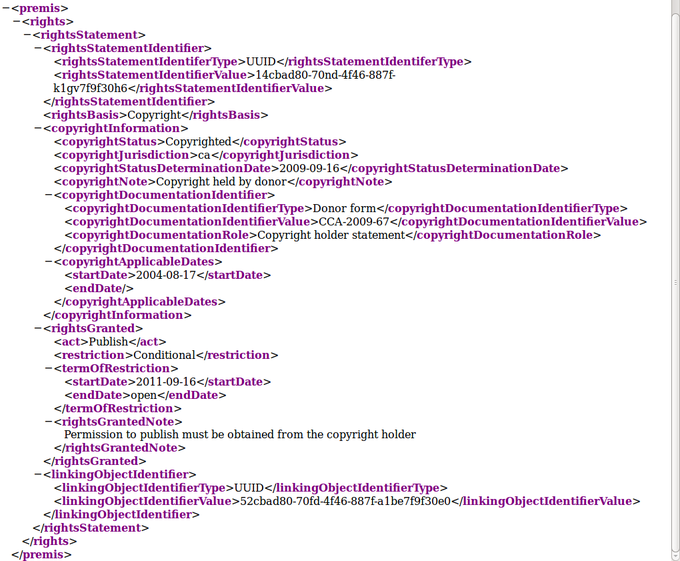 Basis remains "Copyright", "Statute", "License", "Policy", and "Donor". 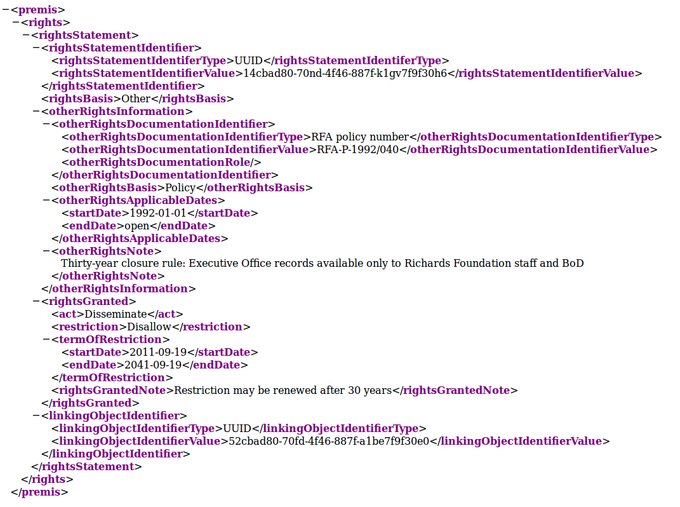 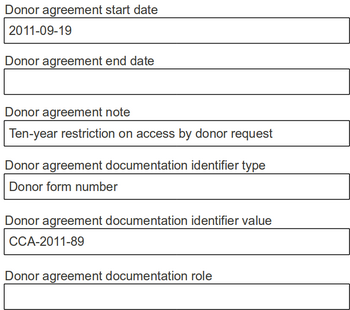 However, "Policy" and "Donor" will be expressed as <otherRights> in the PREMIS file. 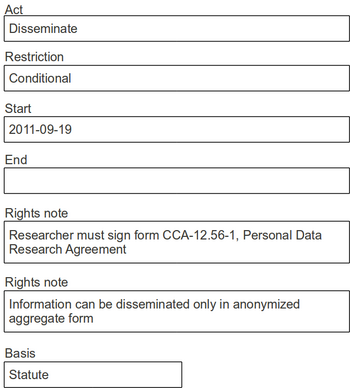 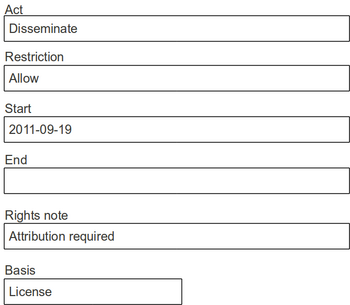 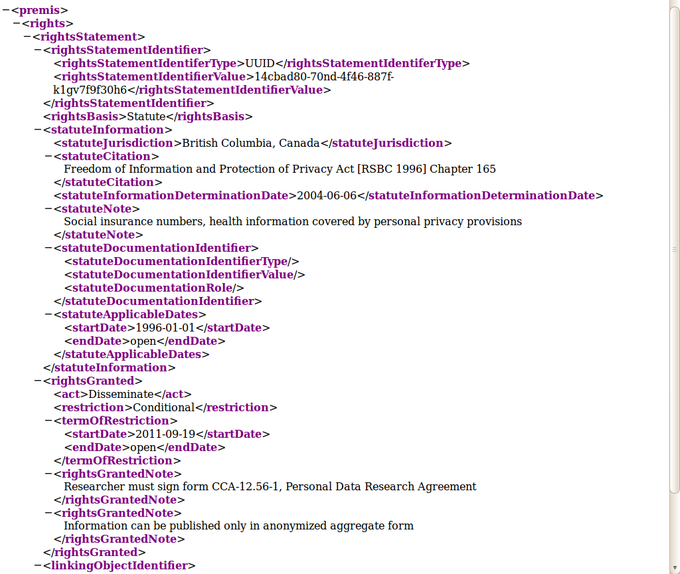 All rights now have Documentation identifier sections which allow the user to make intellectual links between rights statements and external documentation, such as institutional policy documents or donor agreements. 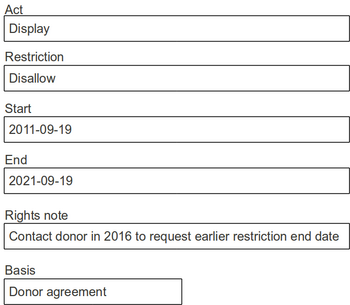 All rights now have start and end dates linked to the rights basis as well as to an act. 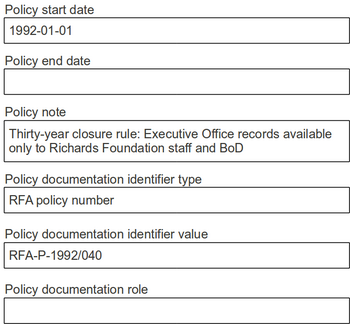 For example, a policy can have a start date of 1992 but acts it allows (such as dissemination) have separate start and end dates. 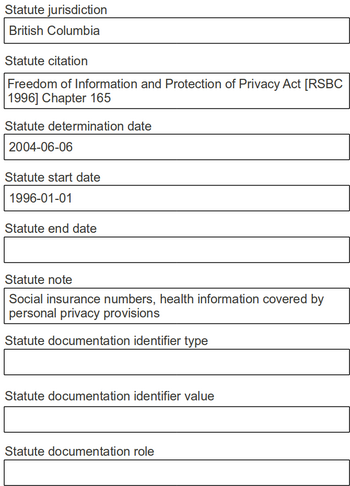 No agents will be linked to rights statements. 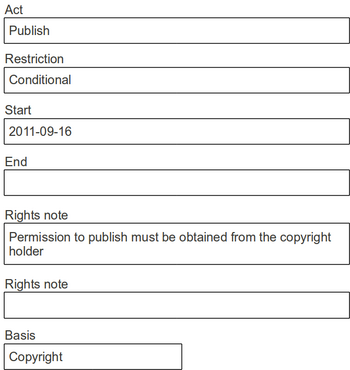 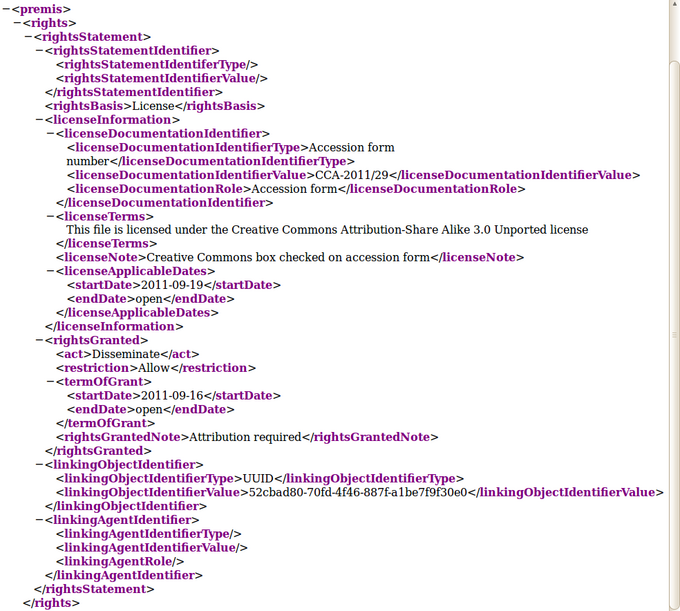 This page was last modified on 10 July 2013, at 13:16.